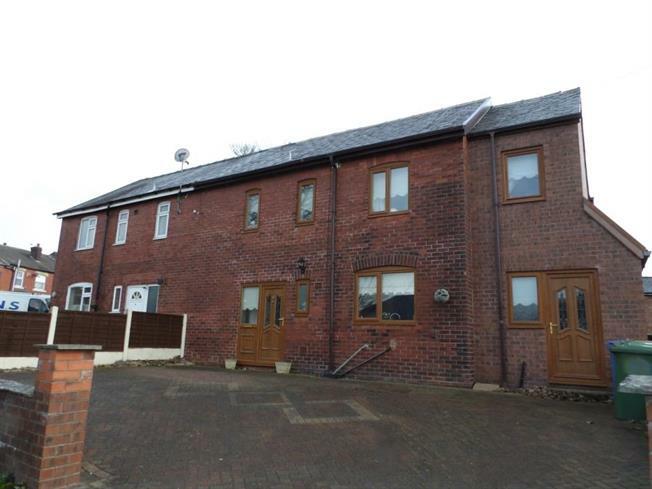 4 Bedroom Semi Detached House For Sale in Chorley for £180,000. Extended and very spacious property located in the popular village of Adlington, this property is well worth viewing and offers great accommodation throughout, the ground floor comprises entrance hall, spacious living room, fantastic size kitchen, utility room, second reception room, ground floor bathroom and conservatory with double doors leading to the rear garden. The first floor consists four bedrooms with walk in dressing room from the master and separate family bathroom suite. Externally there is ample off road parking on the block paved driveway at the front, the rear has a low maintenance garden area with decking, patio and lawn area.